THIS PAGE IS PROVIDED AS A SUMMARY ONLY. PLEASE ENSURE THAT YOU REVIEW THE FULL DETAIL IN OUR TERMS AND CONDITIONS. When you reach the checkout page then our system will automatically calculate your delivery costs based upon the contents of your shopping cart. We always aim to dispatch orders in line with your required timeframe. However, as some of our products are handmade to order then we may sometimes need to work to manufacturer lead times – we will always communicate open and honest timeframes so please do feel free to call us to discuss delivery. All delivery services require a signature on delivery. Delivery Schedule: Mon-Fri (excluding public holidays). ** Our standard delivery service is "kerbside delivery". • £50 on all orders. Please call us on 01723 585896 or email sales@castironbath.co.uk to discuss overseas orders and associated delivery. The Goods will be delivered to you at the kerbside of the address you provided during the order process. This may be an address other than the billing address, but please note that extra documentation may be needed to comply with such orders. Baths will arrive on a tail lift vehicle and will be lowered off the rear on to a pallet truck. The courier will move the bath with the pallet truck to an accessible kerbside location at the delivery address. The pallet truck will not move over steps, deep gravel or rough ground and the courier will not take the bath into a customer’s premises. You should ensure you have arranged sufficient assistance (dependent upon the size of the bath - we recommend 3-4 able bodied people) on the day of delivery to help you move heavy Goods into your premises. We employ professional couriers and in-transit damage is very rare. Nevertheless, you should examine the Goods on delivery and must do so within 7 days of delivery. You must report damage to the Goods to us as soon as it is discovered. It is essential that you do not schedule or commence any preparatory or installation work until the Goods have been delivered and then checked by you. The delivery date or time period for delivery will vary depending on the nature of the individual Goods ordered. We will always contact you shortly after the Order Confirmation either by telephone or email to discuss or arrange the proposed delivery of each individual item ordered. Orders for more than one item may be delivered in instalments. If we are unable to deliver the Goods within 20 weeks of the Order Confirmation then, unless you have agreed to a delivery after that time, then you may cancel this contract in accordance with the cancellation terms below. We want you to feel confident about shopping with The Cast Iron Bath Company. You can return any unwanted items within 14 days for a refund or replacement, as long as they are in an unused, saleable condition and in their original, undamaged packaging. If a consumer forfeits their right to return goods by virtue of the Distance Selling Regulations i.e. by damaging or using the product we may still accept the goods back and offer a partial refund. We reserve the right to withhold a percentage of the refund value of the goods if the product or packaging is in such a condition that the product needs to be reduced in price for resale! Please note that with the exception of faulty merchandise, and taking into account your statutory rights, we cannot exchange or accept the return of goods made to your specification. Any manufacturer’s warranty offered is in addition to the legal rights a consumer already has under the Sale of Goods Act 1979. 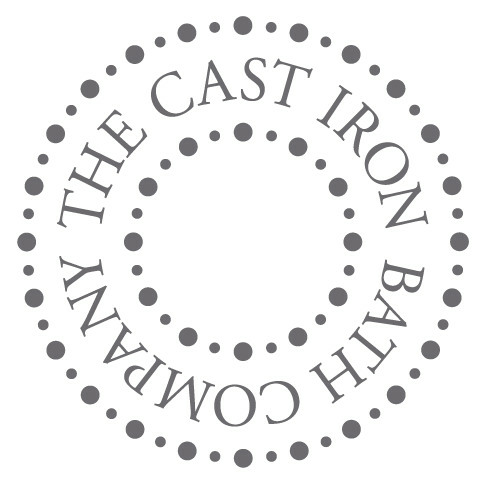 If you would like further information on our returns policy please feel free to call us on 01723 585896 or email sales@castironbath.co.uk.